This strange pattern at sea is what happens when two wave systems cross each other at nearly perpendicular angles. This can occur when waves generated by one weather system collides with waves generated by another weather system, usually at a place that is far away from both weather systems. Waves can travel thousands of kilometers over the surface of the water. Even on the calmest days, storms raging elsewhere on the ocean create rolling waves that radiate away from the storm and washes the shore of distant land. These are called swells, which is different from ocean waves raised by the local wind. Another term for wind waves generated and affected by local winds is “wind sea”. All swells start as wind sea, but after a while the wind ceases to blow and the waves have travelled so far out that it’s no longer generated or significantly affected by the local wind at that time. Then it becomes a swell. When two swells coming from two different directions collide, we get “cross sea”, which is what is happening in this picture. The above picture is very unique, but cross seas are more common than you think. Sea waves and one or more systems of swell waves are frequently present at the same time. However, they might be difficult to distinguish if the angle between their direction of approach is shallow, in which case they might appear to come from essentially the same direction. Besides, swells gradually lose energy the further out they travel. As the swell wave advances, its crest becomes flattened and rounded and its surface smooth. In such condition a swell might be difficult to perceive. 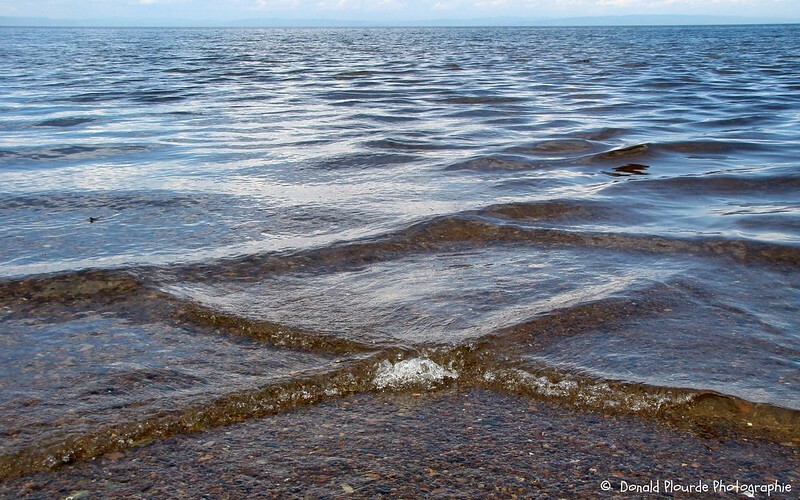 Another reason why such a perfect grid-shaped cross sea is seldom seen is because of the presence of strong local wind that generates wind waves on top of the swell. This wind can be blowing from any direction and has the potential to break the well defined shape and direction associated with swells. Finally, a cross sea can only been seen from afar or from the air. They are not easily visible from the beach. Here are a few examples that I have managed to find on the web.